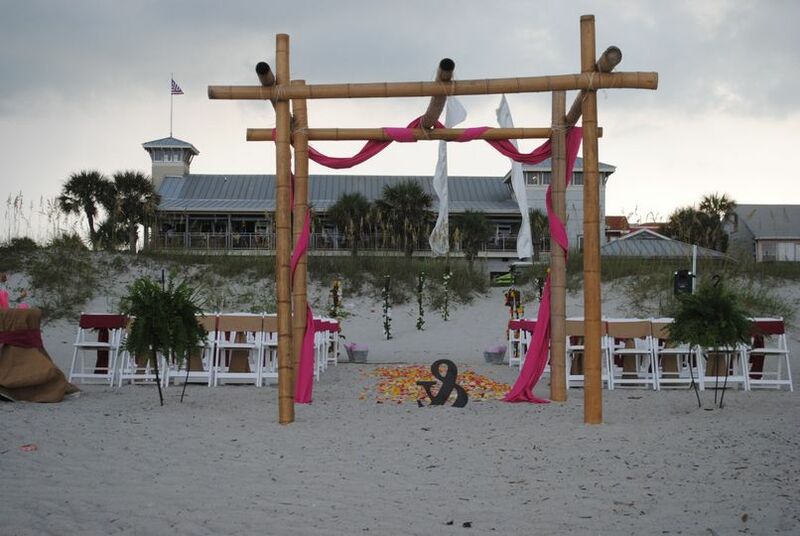 Have you dreamed of a romantic beach wedding- then look no further! 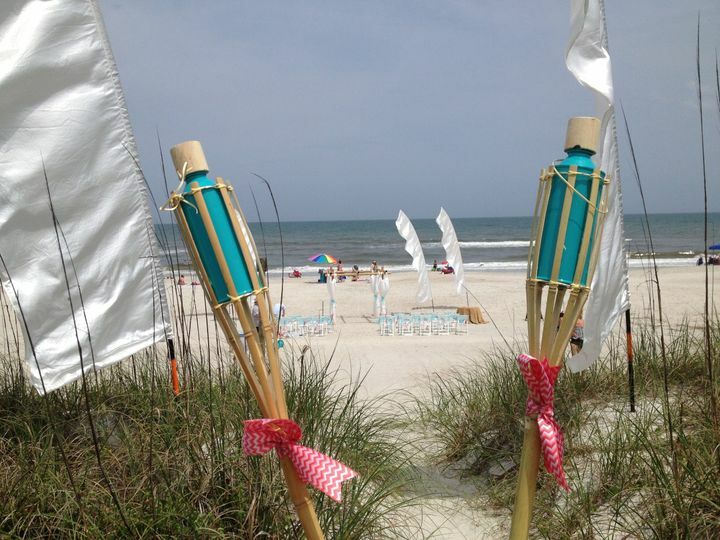 Ocean Club Events on beautiful Amelia Island offers two idyllic beachside locations where dreams do come true. 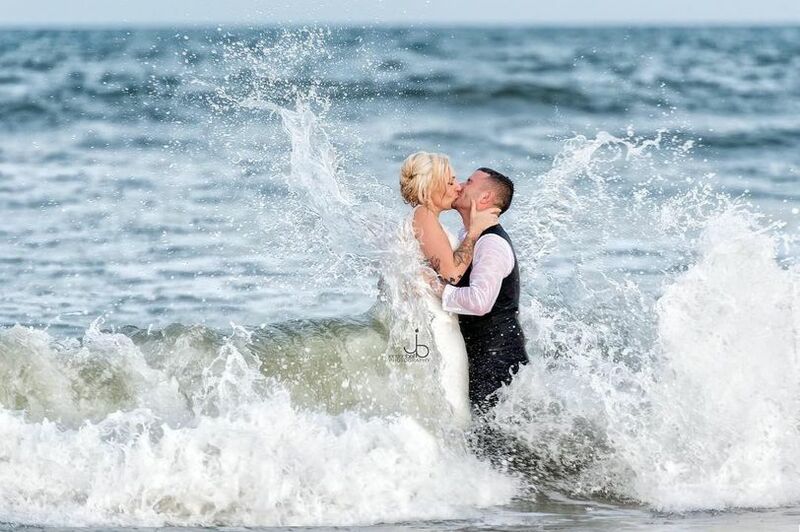 Our Ocean Club of Amelia is a converted beach house accommodating intimate small "just family" weddings- up to full-on 90 seated guests for dinner and dancing! 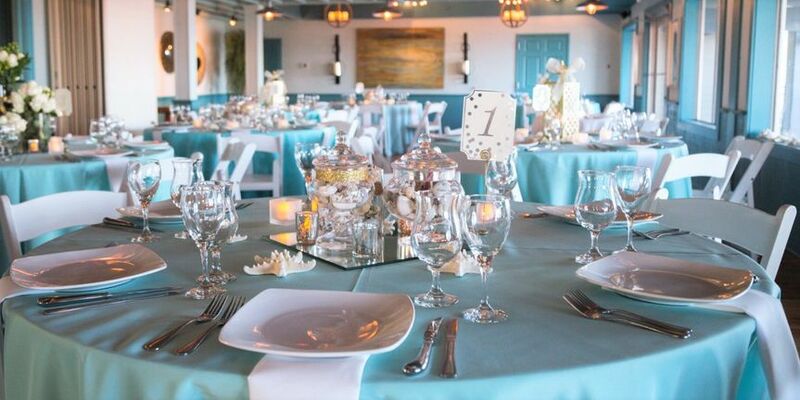 At Sliders Seaside Grill, Ocean Club Events provides brides with a exceptional space over looking the beach and ocean seating up to 170 guests for dinner and dancing and our wonderful selections of fantastic New American Cuisine! 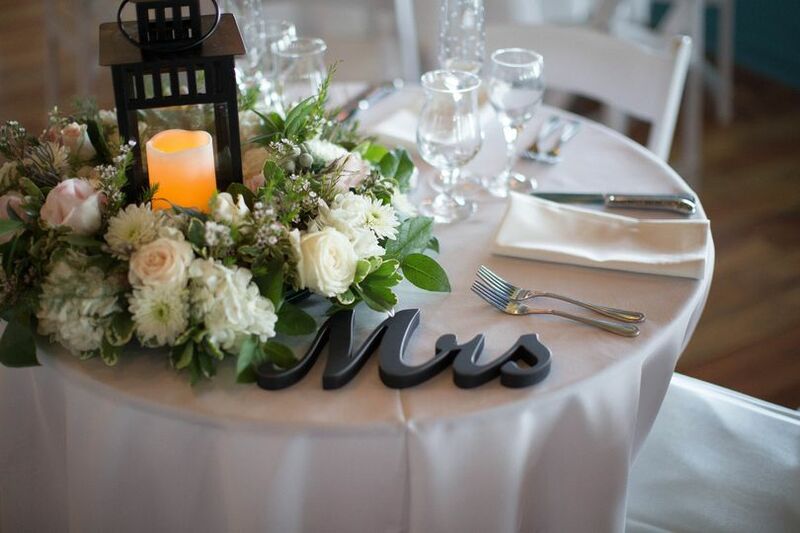 Both venues offer bridal changing areas at no additional charge. 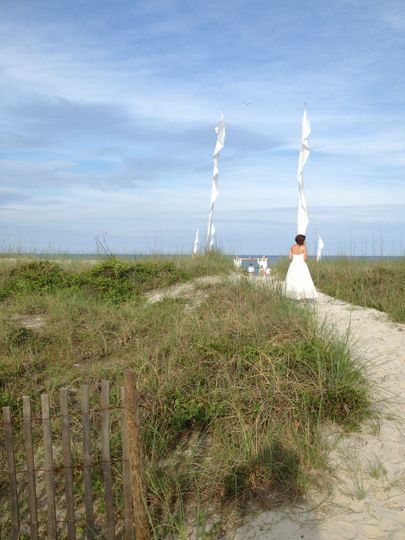 Beach paths down to the wide Amelia Island beach for your ceremony. 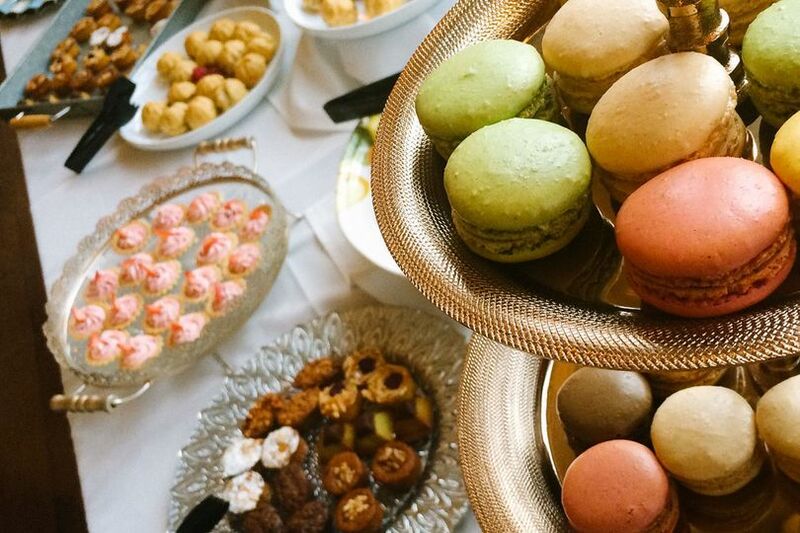 Fantastic selection of foods with no limited stale wedding package choices. Create the perfect menu for you! Bride is ready to go! In my arms at the beach! At the intersection of Sadler and THE BEACH! Getting ready to make the walk! We can not say enough good things about Sliders from the staff to the food everything was amazing. They were so caring and we all enjoyed our rehearsal dinner there so much. they did an awesome job,keeping everything on time and running smooth...and the food was awesome as well !! 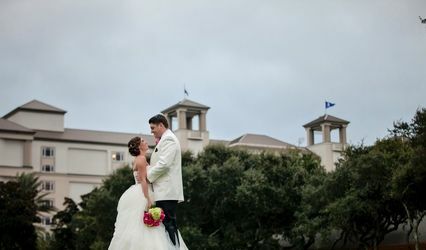 I could not be happier with our choice to have our reception at Sliders. 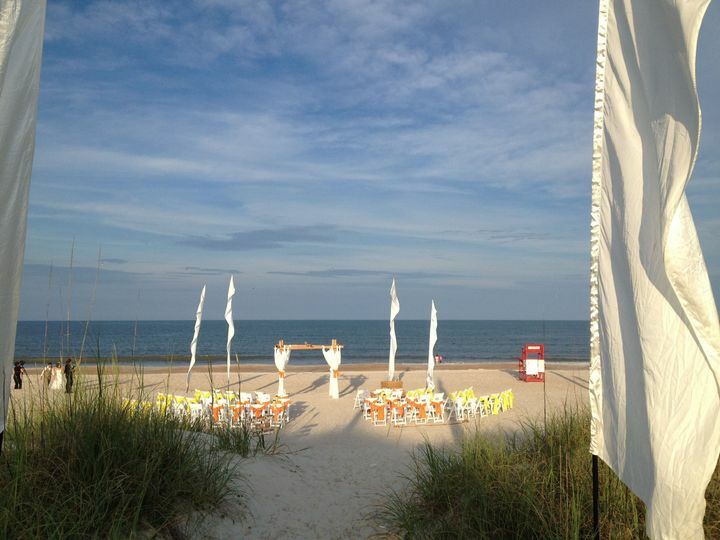 We had our ceremony on the beach in front of Sliders and we had the entire 2nd floor for our reception. Most of our guests came from out of town even though we lived 30 miles from the place it still felt like a destination wedding for all of our. Having the hotel right across the street made everything accessible to our guests. Denease was wonderful to work with as well as the rest of the staff at Sliders. Perfect place to have a wedding. Sliders is a fantastic Venue! 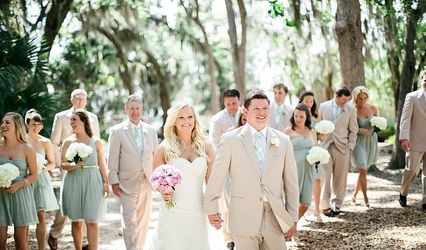 They would be a perfect choice for your special day. 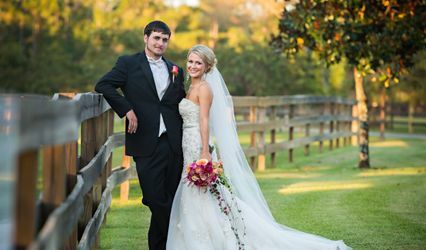 Lisa Presnell Productions values their partnership and highly recommends their services.